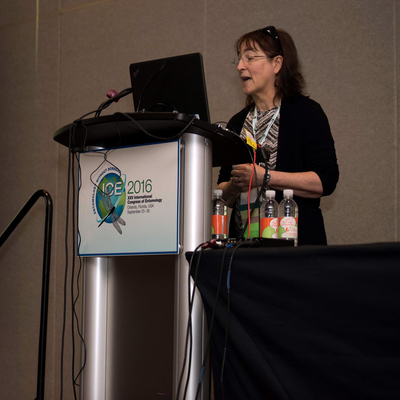 Gail Kampmeier co-organized the "Connecting with the World’s Best Talent: Attracting & Retaining Diverse Entomologists" symposium at the 2016 International Congress of Entomology. Here she presents, "Women as Bellwethers of Diversity in Entomology." Entomologist Gail Kampmeier joined INHS as a student in 1978, and went on to have a long career in biodiversity informatics and plant virus epidemiology. She organized the Entomological Society of America's Women-in-Entomology Network (video), and is a huge proponent for diversity in entomology. Though Gail retired in 2010, she is still active in a number of spheres. A. Some of my earliest vivid memories are nature-related: filling a mayonnaise jar with Japanese beetles with my grandfather from the peach tree in the backyard, and realizing that we'd barely made a dent. Later, when we moved to a new house, there were tiny toads to watch and try to imitate how they swam. I remember looking forward to camping in Girl Scouts, as well as earning a tree badge, identifying winter trees from shape, bark, and buds. As for the term "science," I'm not sure when the true meaning of that word sunk in, even though you would think this would be fundamental. A. I am an entomologist, but did not arrive there via a direct route nor was my career path a straight one. I have a B.A. in French, but after coming to Illinois, decided to study for a B.S. in agricultural science in the hopes of finding a job. I had a lot of basic science courses to make up (chemistry, physics) and I also took agricultural entomology and introductory plant pathology, loving both. They opened new worlds and Dr. Stan Friedman (one of the team teachers of Ag Ent with Marcos Kogan and William Ruesink) recommended that I seek student employment at INHS. I worked for John Bouseman in the museum pinning soybean insects from Brazil, honing my nascent skills from Ag Ent. That's where I met Michael Irwin, with whom I would work for the next 30+ years. His research on aphids as vectors of plant viruses melded my two favorite courses, and I was hired as a student worker for that next summer. The following fall, I decided to take an insect taxonomy course from Ellis Macleod, and I was hooked for good. I applied to the University of Illinois' Department of Entomology graduate program and was accepted, pursuing my degree part-time while accepting a job to work full time with Mike. I had a lot of catching up to do. A. I've had many persons who have inspired me, but the two most important would be Michael Irwin and my husband, Dan Kampmeier. Mike recognized my potential and we grew into a collaborative team that would include students and researchers from around the globe. I gained the confidence to volunteer and take advantage of opportunities beyond our lab group, including becoming involved and taking leadership roles in the Entomological Society of America, NCR-148 Migration and Dispersal of Biota of Agricultural Importance, and Biodiversity Information Standards (TDWG). From my husband Dan, I truly learned what being a scientist and doing science meant. Over the years, his support and our discussions on various topics have been a continuing joy and intellectual challenge in our lives as we strive to figure out how and why various ecosystems work. A. The first half of my career involved aphids as vectors of plant viruses, sampling methodologies to detect aphids in the field, and scales of movement of aphids from within plant to long distance migration. Although my love of aphids continues, beginning in 1995 the focus of our lab and funding turned to systematics of Diptera, particularly the fly family Therevidae, and I found my niche in developing a database system called Mandala, to store all the information about specimens and the events surrounding their collection, taxa and their history along with associated literature and images. The desire to ultimately share this information led to my involvement as one of the first zoologists in the Taxonomic Databases Working Group (started by botanists; now Biodiversity Information Standards (TDWG)). A. The best part of my job was contributing my expertise to team efforts towards understanding and sharing the science behind the work we did. I've met and worked with people from around the world. The work of which I am most proud would be the development of Mandala, a database system supporting four major realms of data acquisition and management for systematics and biodiversity studies: specimens, literature, taxonomic names, and illustrations. In 1995, when I began development, nothing else like it existed. Its design was open and modifiable and supported by the robust commercial engine, FileMaker Pro, which ran on both Macintosh and Windows platforms. Not being a "real" computer programmer, all this was important to me, as well as the availability of a supportive community of database developers. As for subject matter, Mike Irwin assembled a team that would evolve over the next 10+ years, including F. Christian Thompson, the guru of Diptera taxonomic names and expert in the intricacies of the International Code of Zoological Nomenclature. Mandala was eventually adapted for use in a large scale arthropod trapping study in Fiji (tracking batches of specimens and loans to specialists for further identification) and the Diptera Tree of Life. As these projects were evolving I became increasingly involved in TDWG and was review manager on the Darwin Core standard, whose terms facilitate the sharing of information on biological diversity. you don't have to be employed as a scientist to think/act like one; science is portable and sharable. 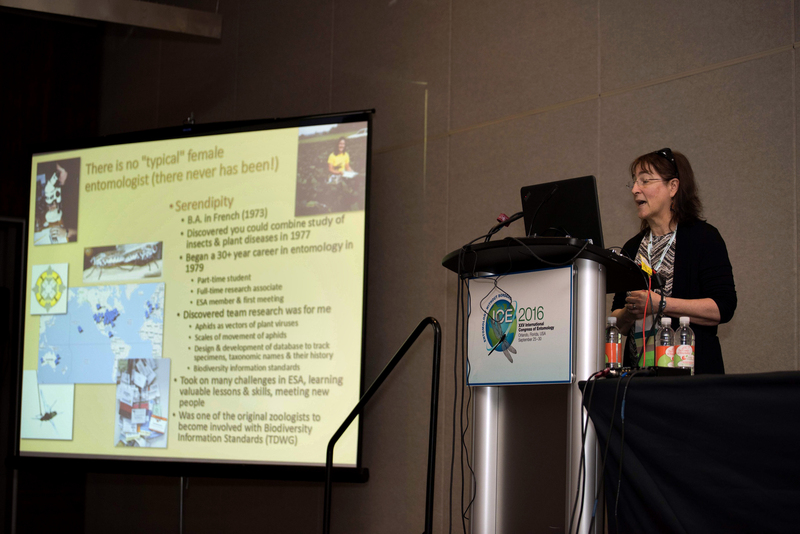 Gail Kampmeier is part of the Biodiversity Information Standards (TDWG) Executive Committee. 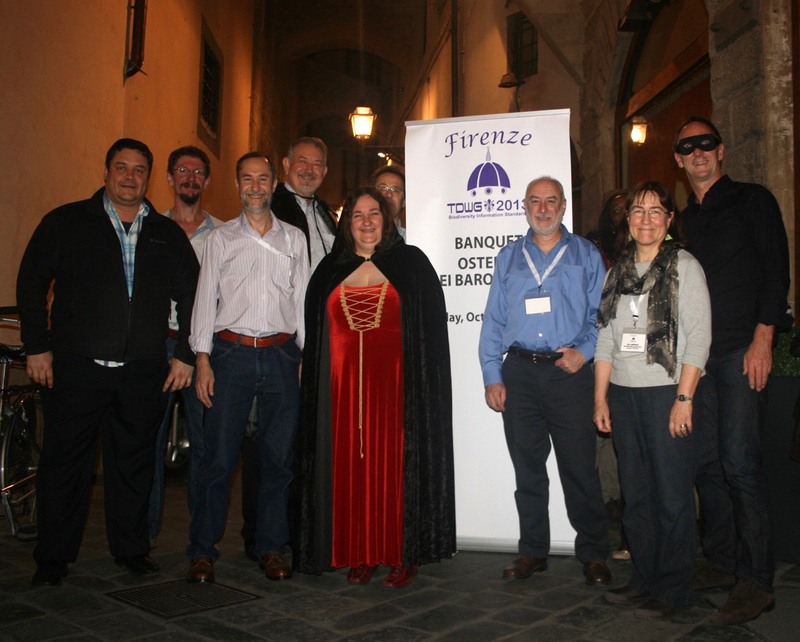 She was the representative for North America and Program Chair for the 2013 meeting in Florence, Italy.